Sean Moore uses poetry for a short minilesson on fluency, and then follows with a partner share and vocabulary discussion. The poem Sean reads with the children is "The Busy Ant" by Mary Ann Hoberman. 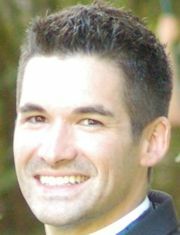 Sean Moore is a literacy coach in North Thurston, Washington. He previously worked as a second grade teacher. 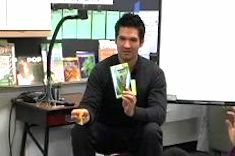 Sean Moore engages his second graders in a read aloud of the book Plants That Eat Animals. Sean varies the ways the students respond to the read aloud. He also chooses to read the text without showing any visual supports when he wants the students to create mental images, focus on vocabulary, or make connections between the text and their experiences. In this conference with second grader TJ from Sean Moore's classroom, the strategies of backing up and rereading as well as attending to the "bossy e" are discussed. In this video, Sean confers with a second grader who is working on reading the actual print words vs. substituting words that make sense in context, but may alter the meaning slightly. She begins by summarizing her series book and then they work toward the goal. Sean reinforces what is really important for her as a reader.